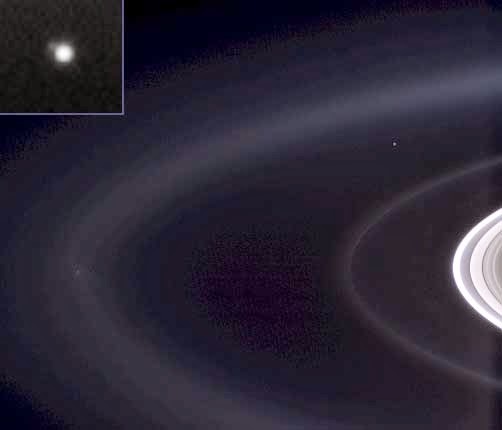 The Pale Blue Dot helps to keep the pressures and rush before the holidays in perspective. If you are feeling the holiday stress and could use a reminder about the insignificance of the right gift or card or perfect holiday plans, check out the incredible images in the video below. While you were at work today, the leaders at the National Women's History Museum ("NWHM") were urging Congress to study the potential creation of such a museum. House Bill Sponsors, Representatives Carolyn Maloney and Marsha Blackburn, were scheduled to testify about the need for the Museum along with NWHM President & CEO Joan Wages. If you think this is a fantastic idea, you can check whether your Representative and two Senators in Congress support the building of a National Women's History Museum and send them a letter today. To read more about the effort, click here. The traditional office holiday party, as depicted in the film Love Actually, has become a relic of the past for budgetary and social reasons. The opportunity these festivities presented for employees to make fools of themselves may be gone, but many managers and employers still fall into the holiday landmines by conveying inappropriate, insensitive, or uncomfortable holiday messages. We all know that the holidays can be filled with emotional highs and lows for many individuals. Whether it’s the “chicken” or the “egg,” this often translates into many people being hyper-sensitive to the messages their managers and employers send them during the holidays. One organization I know just gathered their employees for an all-staff meeting to announce there would be no bonuses this year, and two days later sent a holiday card to each employee wishing them the “merriest” of holidays, signed by a sampling of staff, all of whom sit at the “cool kid’s” table. A manager I was talking with yesterday announced with a sense of satisfaction that she was about to lay off a large portion of her staff and was glad she was getting it over with before the end of the year. I wonder how she will frame it with those individuals, or if she even cares. Certainly, not all managers and employers send mixed signals at the holidays, but it’s wise to be extra vigilant in communicating with your staff about your appreciation for their contributions and your wishes for a happy holiday. Don’t let fear of saying or doing the “wrong thing” prevent you from expressing holiday greetings and thanks. You can take a moment to think about what each member of your team contributed toward your team’s achievements, and thank them privately and specifically, either in person or in writing. You can host a lunch where you review the accomplishments of the year and thank your team for their hard work. You can let your staff leave early on the last workday before Christmas. Or you can have a holiday gathering on that afternoon where members exchange silly “secret Santa” gifts and holiday goodies. Keep in mind that people remember any experience by the last little bit of it. If you liked a movie but hated the ending, you’ll remember it as a movie you hated. Don’t let the last few days of the work year be a negative experience that your employees take home with them for the holidays as their memory of their work year. One of the issues that clients always raise is the struggle that managers have with Gen Y-ers. It's not that they don't understand what motivates these young folks, it's that they believe their values are not appropriate for workplace success. This article has a fascinating take on Gen Y and the effect of "helicopter parenting," when parents hover over their kids and reinforce how "special" they are.